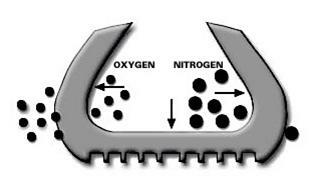 Why Nitrogen fill your tyres? When tyres are inflated to the correct pressure and kept at that pressure constantly, they perform at their best and there is less wear and tear. Your drive is more comfortable and there is an advantage in fuel economy. Nitrogen filling your tyres, which is a process of replacing the compressed air in your tyres with pure nitrogen, helps to maintain the pressure in your tyres for longer. Air seeps through the tyre casing at a faster rate than nitrogen, causing faster wear. We have had positive feedback from many of our customers who have tried nitrogen and keep coming back. John Sutherland of Napier measured the mileage in his Motorhome before and after nitrogen filling. Before, he got 302km to 42.3litres and after filling with nitrogen he got 432.4km to 41.01litres. An extra 130kms. If you would like to try this, don’t hesitate to talk to one of our team about the benefits of nitrogen.